The party that booed God and booed the prayer in an invocation at a Democrat event sure loves invoking God a lot. Also, on the heels of Leftists in Virginia and New York celebrating the killing of children even after the moment of birth, Democrats claim to care about “all God’s children”. Will somebody get this woman a PASTOR! Then I suggest psychiatric help! Holy Mother of Comey, using that logic, shouldn’t Hillary Clinton be in jail? Because the spirit of her crime was in those “lost” emails, was it not? Sure, there are lots of words in the Bible. And Democrats Satan-worshipers cherry-pick the Bible for nefarious reasons. How about the idea of protecting those who believe in the Bible? Look at the recent attacks on Christianity, where Democrats want to remove “so help me God” from swearing-in ceremonies. 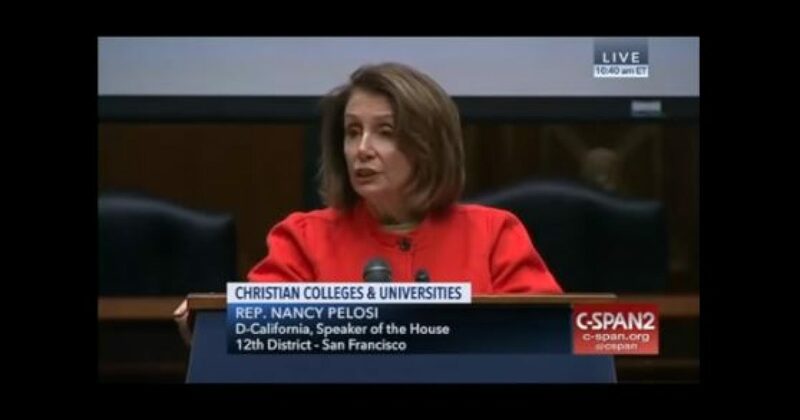 Are those words somewhere in Pelosi’s Bible?